lava that forms from the flows of the active volcanos of Hawai'i. .185". 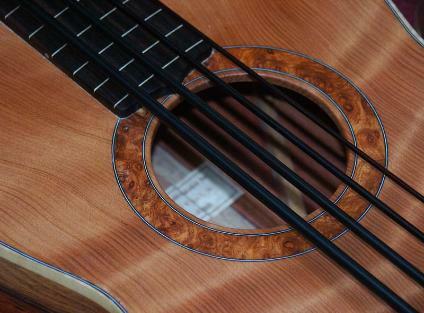 Strings are optimized for 20" to 21" scale instruments. higher in pitch than the Pahoehoe strings. Diameters are .065"